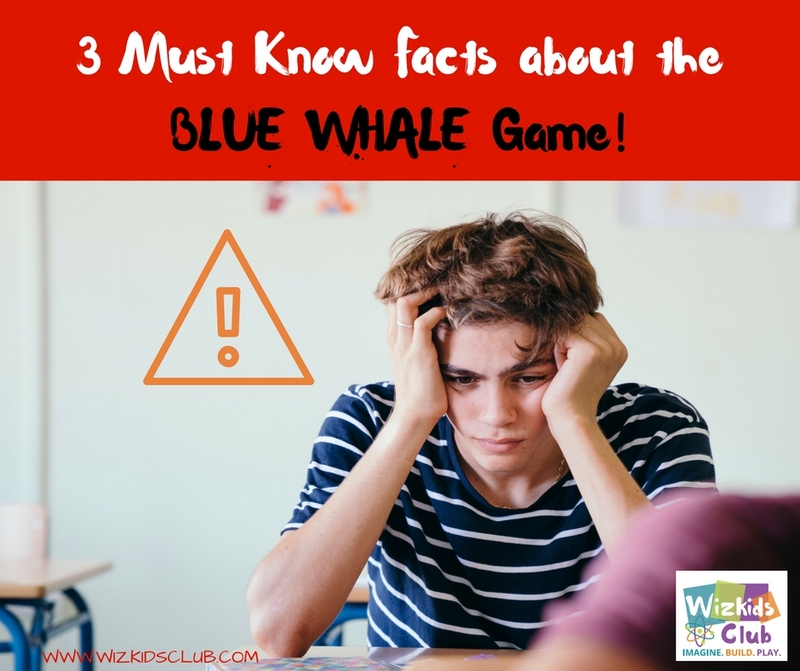 3 Must Know Facts about the Blue Whale Game! The Blue Whale Game is an online “game” that is believed to have originated in Russia on popular social media sites. It aims to influence vulnerable youths to take on the challenge and end their own lives. It’s a social media phenomenon which enters social media networks from secretive groups. It is available in many languages, including English. This “game” has been available in many apps , many of which has been now removed from the internet. Blue Whale Game is not a downloadable game, application or software. The vicious viral game is spreading online through social media. The ALS Ice Bucket Challenge and the Harlem Shake are other examples of this kind of social media phenomenon. There are hundreds of posts linked to this game. As parents it is important to make children aware that they shouldn’t follow the crowd or feel the pressure to do anything that makes them feel uncomfortable. Secret groups of Russian social media network might have started the challenge. It is said to have 50 challenges and 50 days to complete. The Blue Whale Game is tracked by a curator. The tasks are given by the administrator which include watching scary movies, waking up early to serious inflicting self-harm. They are expected to take photos of them undertaking the challenge and upload them as proofs for the curator’s approval. The game becomes more and more extreme over the 50 day period. The curator encourages members to self-harm – with some scoring the shape of a whale into the skin on their forearm. On the 50th day, the members are asked to commit suicide. There are unverifiable claims that over 100 teenagers killed themselves because of the challenge, but there is no evidence to suggest that the number is real. Parents should talk with their children and emphasise that they can make their own choices and discuss ways of how to say no. Reassuring a child that they can still be accepted even if they don’t go along with the crowd will help stop them doing something that could hurt them or make them uncomfortable. Author SUMITA MUKHERJEEPosted on August 28, 2017 August 28, 2017 Categories UncategorizedLeave a comment on 3 Must Know Facts about the Blue Whale Game! 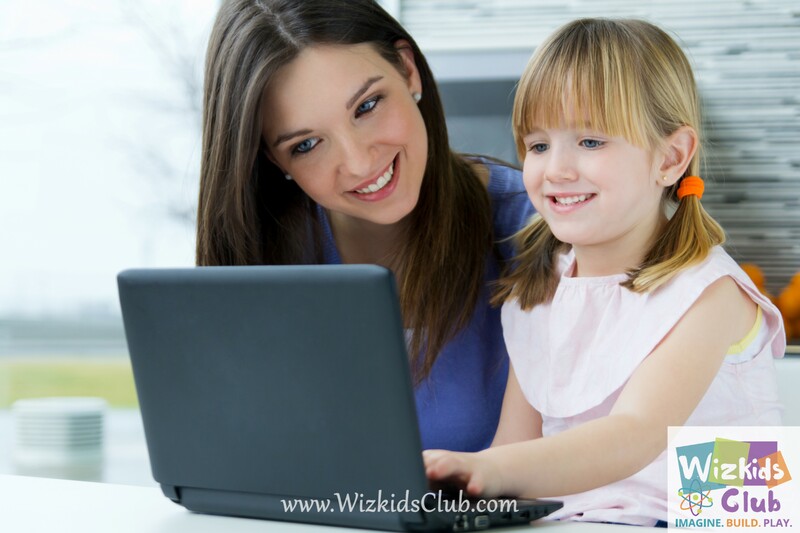 11 Reasons Why Coding and Programming for Kids is a Must! Coding and programming is the art of creating anything from PC games and iPhone applications to computational models. As our kids grow up, this capability to code will become as fundamental as writing and reading. Thus, their career choice doesn’t matter due to the relevance of Information Technology today. Here are a few reasons why learning coding and programming is vital for kids. Computer science is the fresh language of the globe, and it is also one of the quickest growing occupations. Almost every field of human endeavor trusts more and more on program and software development for success. They will provide your child a chance to both be well paid in the future. Also, to perform some of the more challenging and interesting jobs likely to be around. By 2020, it’s predicted to have over 1 million unfilled jobs in North America due to the relevance coding. For the last several centuries, people depend on the written word to spread ideas. The capability to write was the capability to make a change. Today, writing is not enough. To increase productivity, it is very important to leverage the digital medium. Learning how to program is like learning any other language in that expertise must be practiced and tested out. Just as language gives the capability to talk with worlds of people. Programming gives kids the capability to make resourceful technologies. 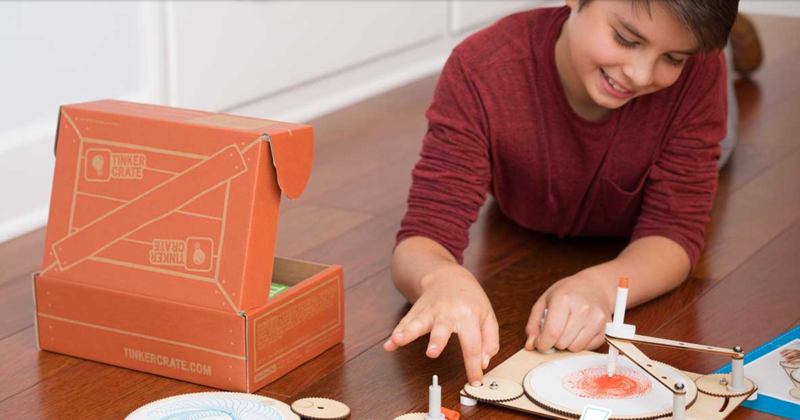 With just a PC, kids can use their programming expertise to build things that could replace the globe. Coding also provides you a skillset that can be used to become an entrepreneur and potentially earn well. Students who gain the expertise early can achieve this success at an extremely young age. From designing running shoes, better blades for farms, security systems, racing cars , tallest structures, infra-red cameras; coding is everywhere. Another advantage of teaching children how to code is that it builds their self-esteem and creativity. It provides the instruments to make a globe of unlimited possibilities, where they can construct their own paths and ideas in their own way. In general, coding is an extremely empowering skill. Teaching your child how to code when they are still young is vital because kids have an easier time learning expertise than adults do – their minds are open and flexible, and learning code is like learning a language far, quicker when you are young. It makes sense to take benefit of the natural inclination that kids have to learn quicker and better when they are younger. I am not just discussing coding in and of itself, but also reason-based thinking technical literacy, which is a capability to imagine about and understand processes in the globe. Learning coding methods also helps kids to develop critical thinking skills and issue solving processes that are not just vital in computer science, but also in life. It guides them how to look at the larger image, and to crash large challenges into little and more manageable tasks. Other than just trusting on environmental perception, they are capable of making logical links which will support them learn how to analyse different conditions rightly. This kind of expertise is necessary for everyone to have, not just those who want to pursue program engineering in the future. Other than it being professionally applicable, it also supports one to get large and overwhelming goals in their lives. You get to think of the little steps you need to take to get your closer to your aims, which provides you more drive and focus. Liberal arts has forever been defined as the body of knowledge needed to participate in civic life, and from its inception, its quadrivium and trivium have incorporated grammar, geometry, dialect, rhetoric, astronomy, and geometry. Coding for children will shortly be considered a vital part of any moderate arts curricula. Now that is clear that machines will deal almost every feature of civic life, promote thinking instructors and supervisors more and more regard coding s a core skill that every kid must learn. Some kids fight when pushed to meet externally imposed aims, but programming gives them the capability to control their own density. It lets them make a globe where there are no pre-made paths, no correct way” of performing things and builds their self-assurance by presenting that they can make their own paths, build their own ideas, in their own way. Enrolling them in an after-school coding club will provide them a large boost of self-esteem. Kids coding give confidence in storytelling, one that permits kids to write new kinds of things, from games to creative stories to animations and simulations. And in the idea of writing these new things, kids are learning PC science as well as strategies for solving issues, design projects, and communicating techniques. There are expertises that are helpful to everyone. Kids will generally try different things, if they don’t succeed they will generally give up. However, teaching children to code imbibes a persistent attitude towards life generally. They will also learn how to ask best questions to get the answers they need to get their goals. These are timeless expertise and attract a way of learning that extends far beyond the kids coding classes. When kids learn to code, instead of being a customer of technology, they become makers of technology. They come up with remarkable things far beyond their expectations. Students all over the globe have come up with life-saving applications and much more. Author SUMITA MUKHERJEEPosted on August 25, 2017 August 26, 2017 Categories UncategorizedTags Coding, creative learning, IT, Kids learn better, Problem-solving, Programming, Self-confidence, STEM, WIZKIDS CLUBLeave a comment on 11 Reasons Why Coding and Programming for Kids is a Must! 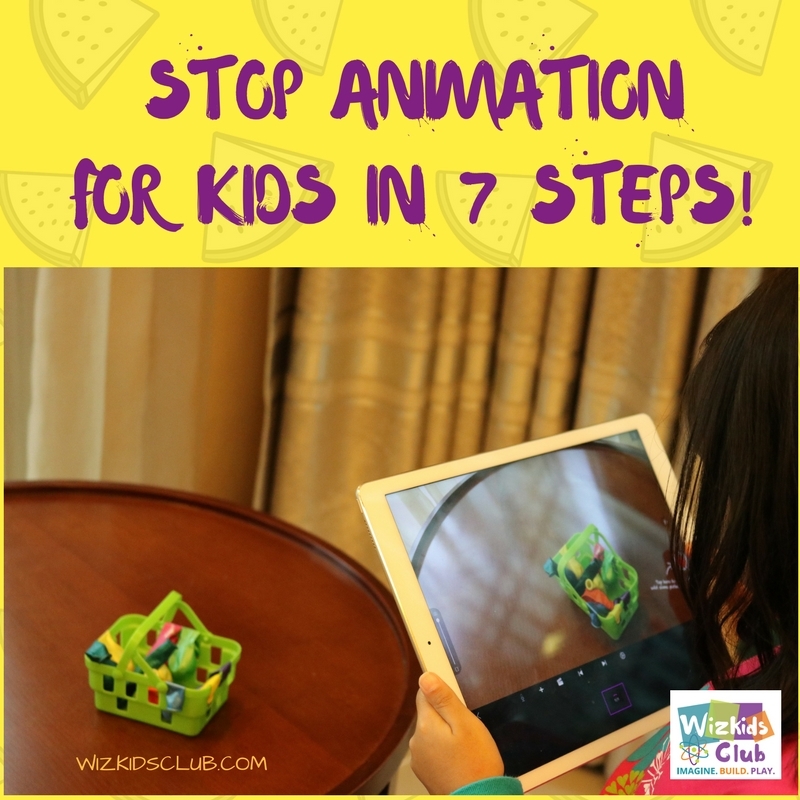 Making a Stop Motion Animation for kids can be so much fun! 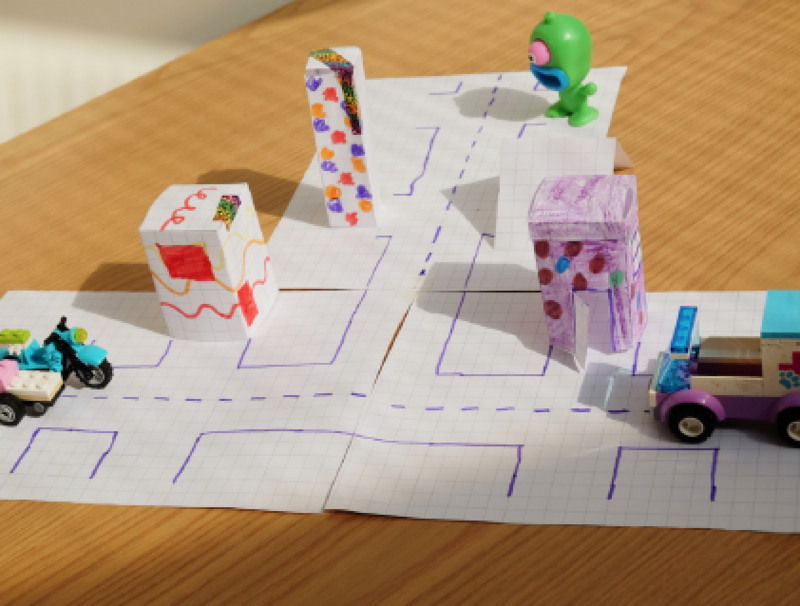 You can make a Stop Motion Animation for kids using toys, paper and simple things. A basic FREE app and you are all set to go! Yes… you read it right, making a Stop Motion Animation for kids can be a piece of cake! With these 7 steps, you can get going now. 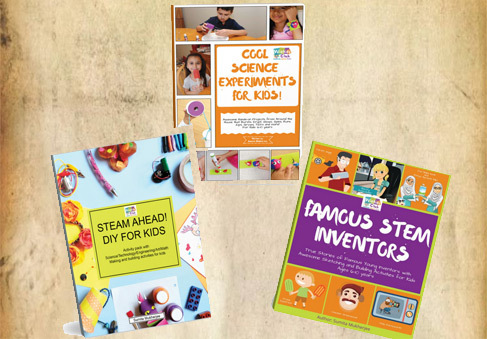 Your little engineer can set up the stage , cook up a story and create a fantastic movie. You are sure to feel elated at the end of the day. Stop Motion Animation for kids is the cinematographic technique that was used to give illustrated figures the impression of motion and movement. The camera would be repeatedly stopped and started and the many frames would all be fit together to produce a moving short story. This animation technique is nowadays being used in education: for presentations, in movies, in explainer videos, in commercials and advertisements. But that’s not all. Stop motion animation for kids is also being applied in increasingly innovative ways. In the presence of modern technology and techniques, more complex stop motion animations are being produced. You can make this at home using paper origami, clay , toys or any inanimate object. I created this STOP MOTION ANIMATION with my 7 year old and would like to share a few tips and ways which will hopefully prove to be useful for you as well. Collection of objects to animate. We used a penguin. Smart phone, touchpad, or iPad. We used an ipad. Go to the app store and download the FREE app: STOP MOTION STUDIO by Cateater on your ipad. You can make the two white foam boards stand against the wall or simply use a large drawing book as the stage. Have your kids create the background for the scene. We created a sunny day with clouds floating in the sky and a water stream flowing. Some flowers to make it bright and natural. The ipad should be on the stand so that the frame appears still. Let your kids explore around and have fun setting up the stage and thinking of various themes or ideas for the story. It can be anything, from LEGO characters and toys to play dough vegetables and animals moving around. Create the story board and various steps in the story. Let them think of the characters and props needed for the story to build and come up with a suitable ending. Adding in a voice over or audio to the animation will make it all the more interesting. Allow the young minds to think and explore interesting sound effects and pick a pre loaded music from your computer or download one. Now open the stop motion app and take a photo. Move the penguin a little bit and take another shot. Continue it in this way for every step of the story. We made the clumsy penguin fall down and get up. A shot for every step. Do remember that 12 frames make a second. So for every second we need to take 12 photos. Once your photo shoot is done, play the button to see the movie film out like an animation. You can also export your video and share it with family and friends. Have fun and make lots of movies! Don’t forget to share with me on Facebook and Pinterest. Your very own STOP ANIMATION MOVIE. 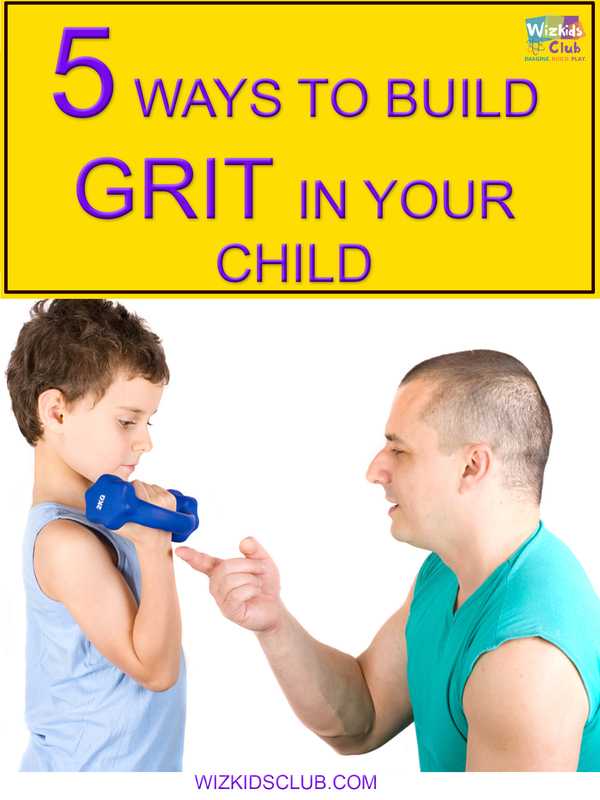 5 WAYS TO BUILD GRIT IN YOUR CHILD! Do you want to build grit in your child? As a parent, we always want our children to succeed in anything that they do. We want to prepare them for the ‘big, real’ world and want to give them the best opportunities available. We want our children to excel at school and be the best that they can be. How do we do this you ask? Grit seems to be magic word! Psychologist Angela Lee Duckworth had a very interesting TED Talk where she mentioned that the students who were the crème of the crop at school were the ones who were willing to endure and stick to it throughout the school year. More so, the students who ended up graduating were likely made up of really diligent, assiduous students. Thus proving that it’s not really about IQ or supposed talent level, but that anyone who is willing to work hard by getting gritty could succeed! Having grit appeared as a noteworthy forecaster of success. So what does this mean for you and your precious ones…time to get gritty folks! So how do we build GRIT in your child? I think this is one of the most important gifts that you can impart to your children. Failure does not mean it’s the end of the road. Failure does not mean that everything is lost. In fact, children should be encouraged to evaluate what happened and what they learned from their failure. There is always a gift wrapped up in a failed attempt. A little lesson showing you what worked and what didn’t work. Encourage your child to look for these clues and to see how they can use what they learned in their next attempt. Take this quiz and check their learning styles. Don’t scold them and make them feel bad, otherwise, this will reduce their hunger to try out new things. Pull up a list of successful historians, inventors and business people who have failed insanely but because they didn’t give up it paid off! I am not saying leave them in the house alone for hours on end! That will scare any child! What I am saying is that easy with the anxiety. Keep your hands to yourself and put a pin in your mouth and support from the sidelines. Only step in if they really need you or need encouragement. Let them attempt in figuring out whatever task it is on their own. When you see that you child is frustrated and disappointed in themselves, don’t go straight to ‘fix it mode’ to make it better or to save them from the pain. Validate their feelings, “I know this is harder than expected”, “I am so sorry it’s not going well”. Ease them through the grieving process, allow them to feel and show them that you understand and that you are on their side. By showing your child that you believe in them, you are helping in building their resiliency. Careful not to be the ‘perfection police’. Monitoring everything your child does, reminding them that they could do a better job consistently, will surely knock their confidence level. They will fear trying anything out of fear that it might not be right or perfect for your standards. Unless it’s absolutely detrimental that they get it right, let them learn for themselves. This helps build their own confidence and ability in themselves as well as experiencing the pleasure of achieving something. That’s right! 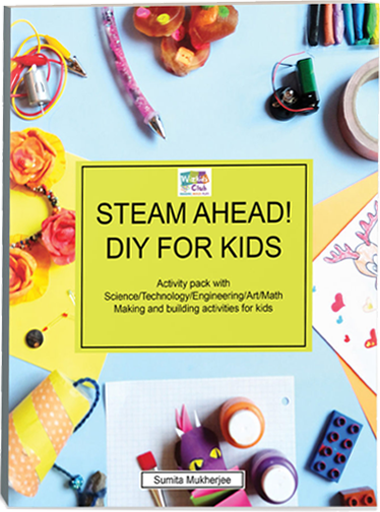 Get your child involved in some DIY activities, STEAM activities, board games or whatever, it doesn’t really matter what it is. Put them in a situation where they need to figure it out and triumph something that is seen as difficult. Don’t set them up to fail of course, give them all the necessary information and guidelines to set them off and allow them to figure out the rest. Again this gives your child the confidence to confront challenges and to take risks. Take the time to build grit in your child! Encourage your child to try out new experiences and challenges. Support him/her and be their biggest fan, however, be careful to not be overprotective because that defeats the purpose. You want to equip your child to be able to handle the world, and as you know as a parent, having a little bit of grit goes a very long way! Does this sound gritty? Don’t forget to comment below and share your thoughts on Facebook. Author SUMITA MUKHERJEEPosted on August 10, 2017 August 23, 2017 Categories UncategorizedLeave a comment on 5 WAYS TO BUILD GRIT IN YOUR CHILD!